A paleo enthusiast told me: 'I can't eat fruit. It raises your blood sugar. Just like a candy bar!' My response: Sure, it does. And that's why Dr. Graham (among others) has proven beyond all doubt: That when you eat a 100% fruit diet. And simultaneously lower fat intake. Diabetes, a blood sugar issue, disappears. And blood sugar stabilizes to a nice, even level. How so? 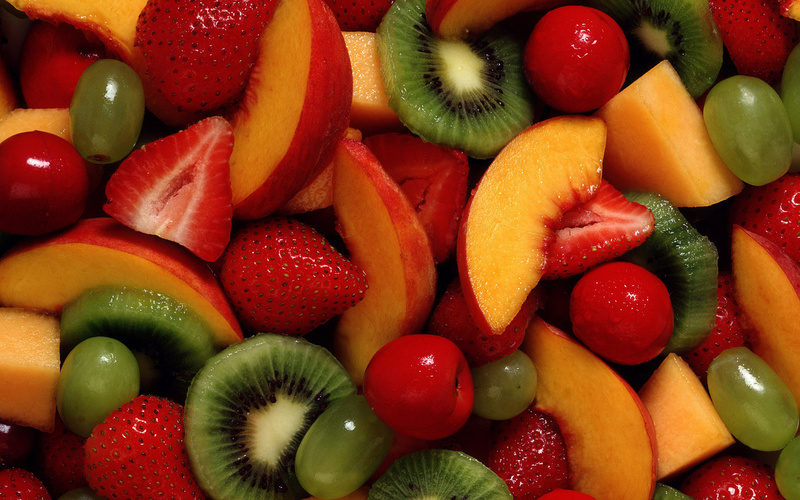 Well, the sugar in fruit is mixed with water and fiber. Which slows its absorption into your bloodstream. The only thing that can 'muck up' that absorption is a high fat intake. Speaking of which: Nearly 100% of meats are AT LEAST half fat by calorie. So yes: Fruit COULD pose a problem for you. *Copyright 2015, Jeff Sekerak, all rights reserved. *Consult your doctor before engaging in any diet or fitness plan. Use your good ol' common sense too. Which, for my money: Rarely steers you astray.